This charming home is nestled at the end of a cul-de-sac and backs up to woods for that extra bit of privacy. When you enter, you're greeted by the spacious living room. Beyond the living room is a large eat-in kitchen, with a pantry for extra storage and an island with space for bar seating. To the right of the kitchen is a huge laundry room that leads to the side load two car garage. On the left side of the home are three roomy bedrooms and two full bathrooms. The master bedroom features its own private bathroom. Outside you'll find a covered front porch and open back deck for enjoying the weather. The driveway allows for ample parking when you're having friends over for a barbecue. 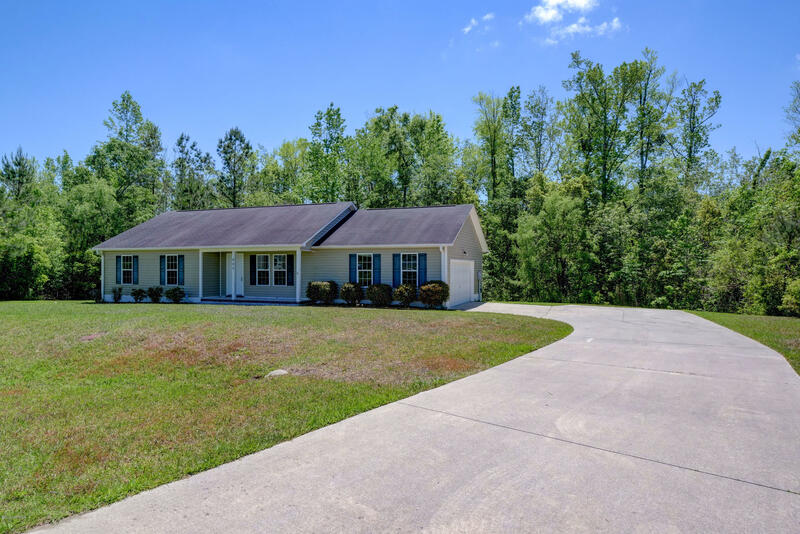 The location is convenient to MCAS New River, Camp Lejeune, and the beaches!